Product prices and availability are accurate as of 2019-04-14 13:44:35 EDT and are subject to change. Any price and availability information displayed on http://www.amazon.com/ at the time of purchase will apply to the purchase of this product. 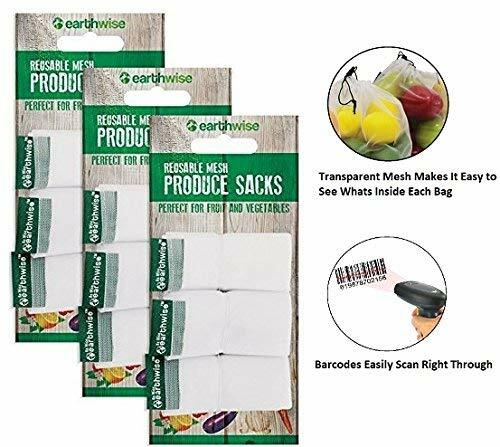 SUPER VALUE - You will receive a total of 9 Mesh Produce Bags! 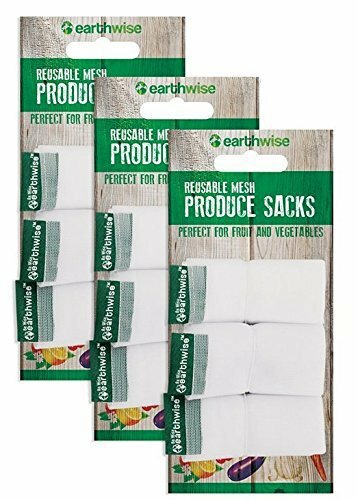 SIZE: Each Bag Measures 11" X 13.5" SAVE THE ENVIRONMENT AND MONEY - Eliminate Hundreds of Plastic bags. 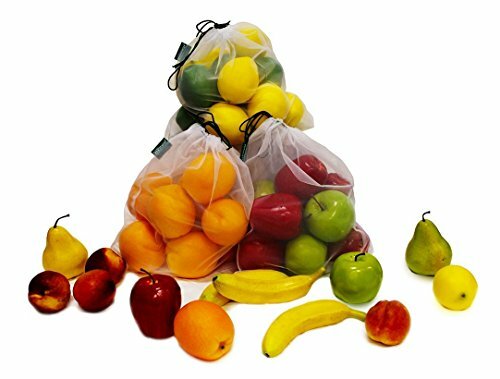 Each mesh produce bag has the potential to eliminate up to 1000 plastic bags over its lifetime. 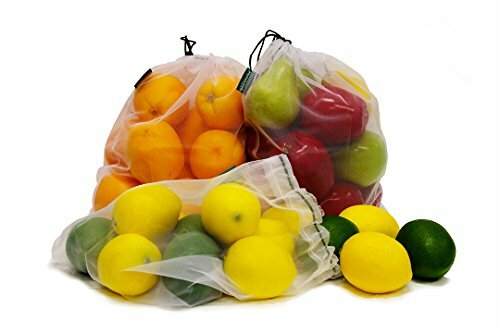 MULTI-USE - These bags arent just for fruits and veggies, you can use them as toy storage bags, snack bags, small item laundry bags and much more! 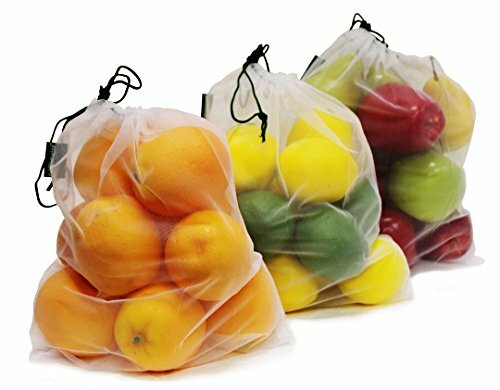 EASY TO SEE WHATS INSIDE- Our mesh produce bags are LIGHTWEIGHT which makes it easy to see whats inside the bags without having to open it. BAR-CODES will EASILY SCAN THROUGH our mesh. 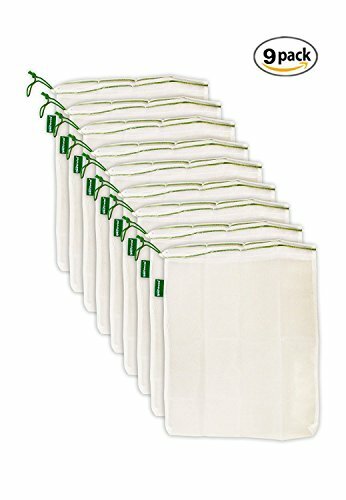 Each bag WEIGHS LESS THAN 1/3 OF AN OUNCE so YOU WONT PAY MUCH EXTRA WEIGHT when checking out.